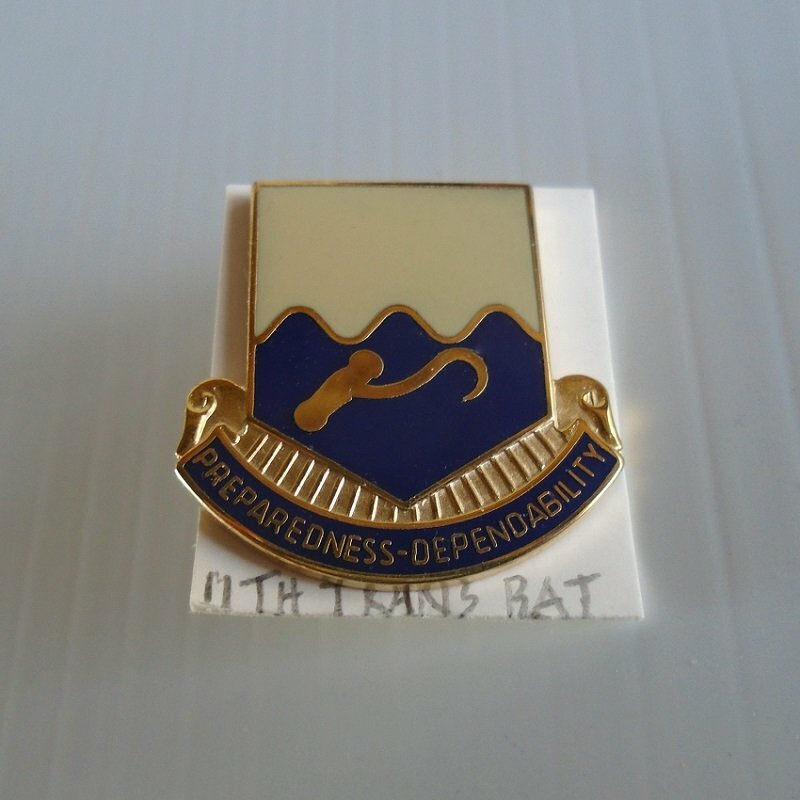 11th US Army Transportation Battalion "Preparedness-Dependability" DUI insignia pin. Estate purchase. This U.S. Army 11th Transportation Battalion DUI insignia pin is from a large collection of pins that I purchased at an estate sale. The previous owner was an avid military memorabilia collector. His main focus was on items from WWII and Vietnam, but would also pick up items from other time frames if they were rare or unusual. Unfortunately, I don't know the date on this particular pin but did find this information online: "The insignia was designed for the 11th Transportation Battalion on December 19, 1961". Along the bottom of the pin is the motto of "Preparedness-Dependability". The pin is attached to a small thin cardboard square. The previous owner wrote "11th Trans Bat" on the cardboard. It is enameled and measures a little over 1 inch. It has a double clutch holder on the back and is marked on the back "D22 Made in U.S.A.".